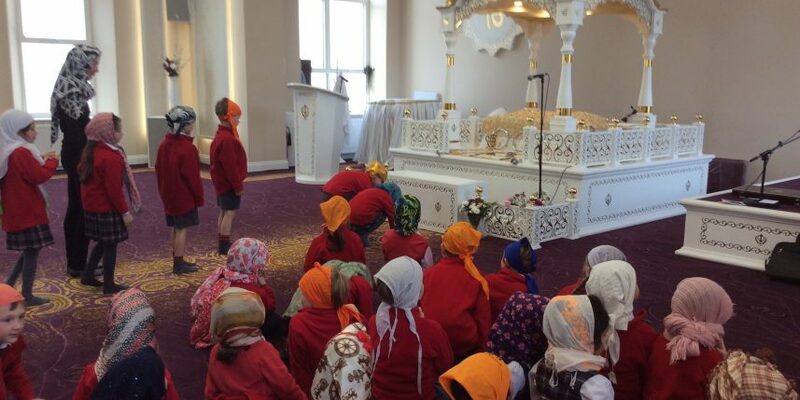 Year 1 visited a Gurdwara yesterday as part of their RE learning on Sikhism. Gurdwara simply translates to “door to the Guru” and is a place of worship for Sikhs. The children learnt all about Guru Nanak and the Guru Granth Sahib (a holy scripture). They found out that people from all faiths were welcome to the Gurdwara, and were even lucky enough to visit the “Langar Hall” where they received a curry! It was so delicious, they gobbled up a second helping.